Gilbert, G. R. (2017). 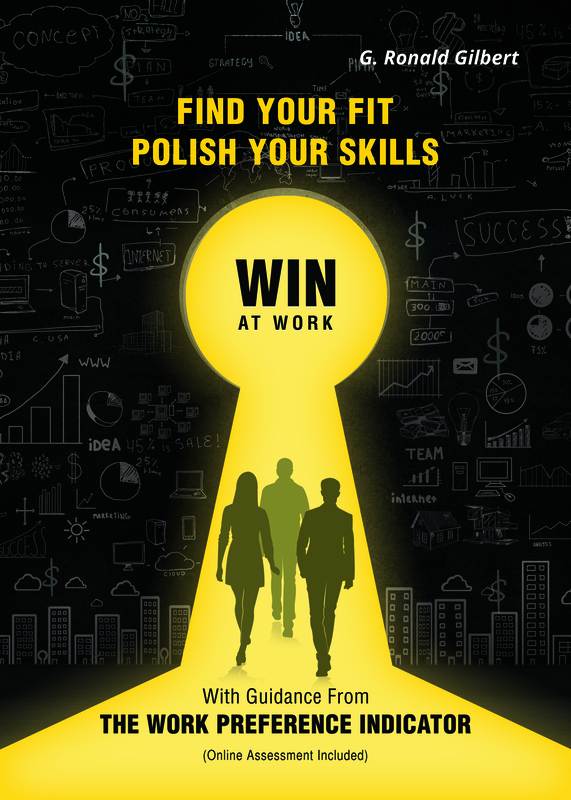 “Find Your Fit, Polish Your Skills, Win At Work.”Maitland, FL: North Loop Press. Gilbert, G. R. (2005). “Management Tools for Logisticians and Leaders of Teams, 8th Ed.”Port St. Lucie, FL: GEMS of Florida Publications. Gilbert, G. R. (1993). “Total Quality Management: An Introduction to Key TQM Philosophies, Approaches, Tools and Techniques.”Boca Raton, FL: Management Education and Development, Inc.
Gilbert, G. R. (1992). “The TQS Factor and You. Learn to: Lead Yourself, Manage Your Boss, Delight Your Customer.”Boca Raton, FL: Business Performance Publications. Gilbert, G. R. & Nelson, A. E. (1991). “Beyond Participative Management: Toward Total Employee Empowerment for Quality.”New York: Quorum Books. Gilbert, G. R. (1991). “Managerial Tools for the Air Force Logistician.”Dallas: U. S. Office of Personnel Management. Gilbert, G. R. (1986). “The Manager and Program Planning and Evaluation.”Dallas: U. S. Office of Personnel Management. Gilbert, G. R. (1984). (Ed.) “Making and Managing Policy: Formulation, Analysis, Evaluation.”New York: Marcel Dekker, Inc.
Gilbert, G. R. (1991). “Managing in the Logistics Setting. (Fifth Edition).”Dallas: U. S. Office of Personnel Management. Gilbert, G. R. & Conklin, P. J. (1979). “Evaluation Management: Selected Readings.”Charlottesville, Virginia: Federal Executive Institute. Gilbert, G. R. & Conklin, P. J. (1977). “Evaluation Management: A Sourcebook of Readings.”Washington, D. C.: U. S. Civil Service Commission, Bureau of Training.